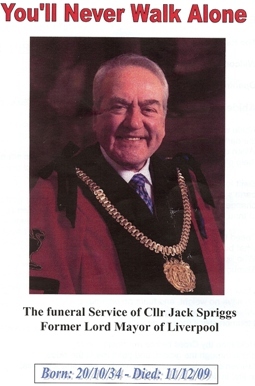 At lunchtime today I gathered with about 300 others, including the Family, Friends, MP’s, Civic Heads, Chief Execs, Political Party Leaders, representatives of the police, Liverpool football club and many others to pay my final respects to a giant of Liverpool, former Lord Mayor, Cllr Jack Spriggs. 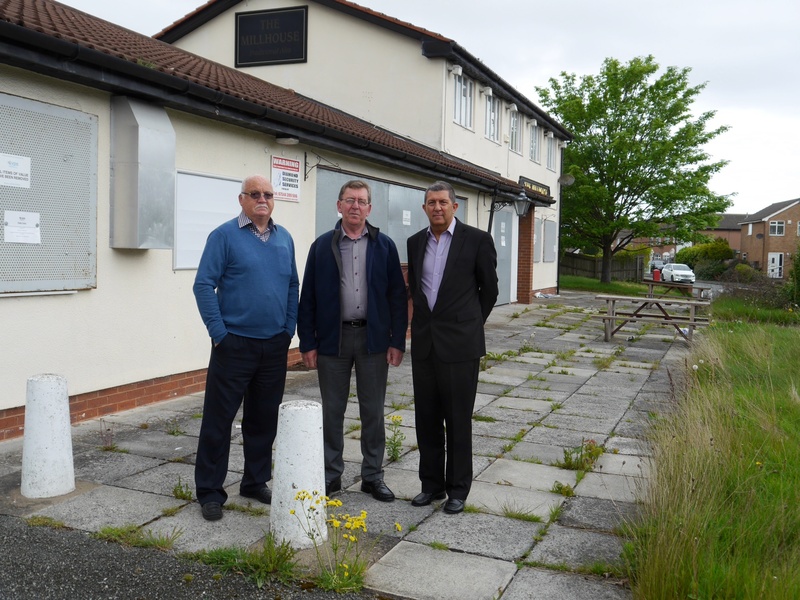 I knew Jack through my time on Merseytravel, and although I only knew him for a couple of years, I felt privileged to be able to call him a friend. The service today, whilst powerful was also very moving, and whilst a solemn occasion it was also a celebration of Jacks life, and there were humourous moments as people recalled their memories of him. It was clear from those gathered, and those who spoke, that Jack Spriggs was one of lifes very special people, someone who fought his corner, who supported those who needed his help, who was a true family man, someone who readily put others before himself, a true gentleman. I will miss him immensely, as will many others, and I think its fair to say, the City of Liverpool will miss him. Goodnight and God bless Jack.